Rock River Arms recently announced the addition of a new series of carbines and pistols, the BT-9 family. The new BT-9 series works with Glock pattern magazines, delivering compatibility with backup carry pistols and one of the leading aftermarket component segments. Rock River based the BT-9 models on the company’s billet aluminum lower receiver. That receiver also includes a Glock-compatible flared magazine well. The lower receiver also features an integral winter-style trigger guard that provides ample room to work while wearing gloves. The BT-9 also features Rock River’s latest extruded aluminum receiver. Meanwhile, the pistol variant comes standard with a Rock River Lightweight Free-Float M-LOK handguard. Finally, the BT-9 series consists of three different models: a 7-inch pistol, 10.5-inch pistol and 16-inch carbine. The BT92133 Pistol features a 70inch moly barrel with 1/2-36 threads. It also incorporates the popular SB Tactical SBA3 pistol brace, which delivers 5-position length-of-pull adjustment. Rock River’s own A2 pistol grip and two-stage trigger complete this compact, highly-portable 9mm pistol. The BT92142 Pistol features the same configuration as the BT92133, but with a chrome-lined 10.5-inch barrel for added durability and longer-range accuracy. Also, the pistol sports a 7.25-inch lightweight, free-float handguard. Stepping up another rung on the ladder in size is the R9 Competition Rifle. Further, this guns is built for competition, featuring a two-stage trigger, 16-inch chrome moly barrel and PRAGE 3G handguard. It also comes standard with Rock River’s 6-position Operator CAR buttstock and Hogue overmolded pistol grip. For more information, visit rockriverarms.com. 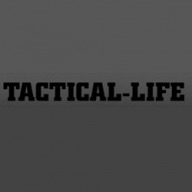 The post Rock River Arms Releases BT-9 9mm Series Pistols and Carbines appeared first on Tactical Life Gun Magazine: Gun News and Gun Reviews.